Retell Lecture – You will hear an interview. After listening to the interview, in 10 seconds, please retell what you have just heard from the interview in your own words. You will have 40 seconds to give your response. 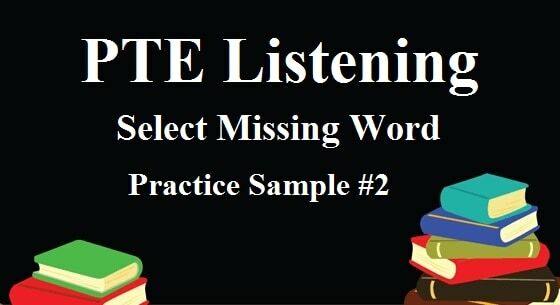 This is a long-answer item type that integrates listening and speaking skills, and requires test takers to understand and re-tell a lecture. 1. 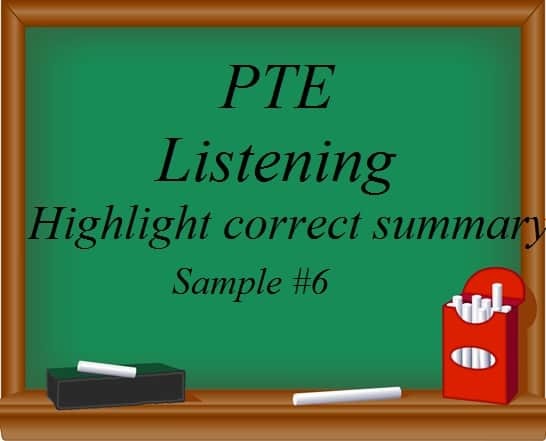 Listen to the following audio and retell lecture in your own words. It’s been that way throughout history. In ever…In nearly every culture, right has been associated with positive qualities, while the left has been associated with negative, or even evil, ones. In Latin, left means “sinister.” In ancient Japan, men could reject, er, refuse, to marry women who were left-handed. Um, in modern China, teachers try to force left-handed students to learn to write with their right hands. And, as I’m sure all lefties know, everyday items, like, can openers, uh, scissors, and uh, computer keyboards, are designed for righties. In short, left-handers have been made to feel “left” out. Get it? It might seem straightforward to you and I, but scientifically speaking, the basis of handedness is not well understood. Most scientists define right-handed or left-handed on the basis of a person’s preferred writing hand. But some scientists claim it should be based on the hand that is, um, faster and more accurate in performing manual activities, like tightening a screw or, uh, tying a knot. Still others claim that ability doesn’t matter; in other words, that handedness should denote only preference. 2. 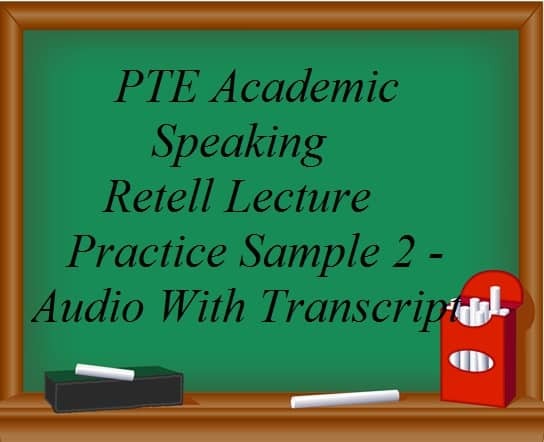 Listen to the following audio and retell lecture in your own words. Now, yellow fever’s a deadly disease that’s caused by a virus, and it’s been the source of many epidemics since at least the eighteenth century in Africa, Europe, and the Americas. In fact, it still kills more than thirty thousand people a year worldwide. And there’s still no cure for the disease. However, there is a vaccine to immunize us against it. The road to the discovery of that vaccine was a rocky one, I think. It’s called ‘yellow’ fever because one of its symptoms is jaundice- a yellowish colour that the skin takes on, because of liver damage. It’s transmitted by mosquitoes, either from man to man- this’s called the ‘urban’ cycle- or from monkey to man- this’s called the ‘sylvatic’ or ‘jungle’ cycle. The disease probably originated in west Africa, and it was carried from there to the West Indies and the New World in the eighteenth century with the ships of the slave trade. The first big outbreak of yellow fever happened in Cuba in 1762 and 1763, and it killed thousands of American and British colonial troops there. After that, between then and 1900, it killed about ten percent of Cuba’s population. 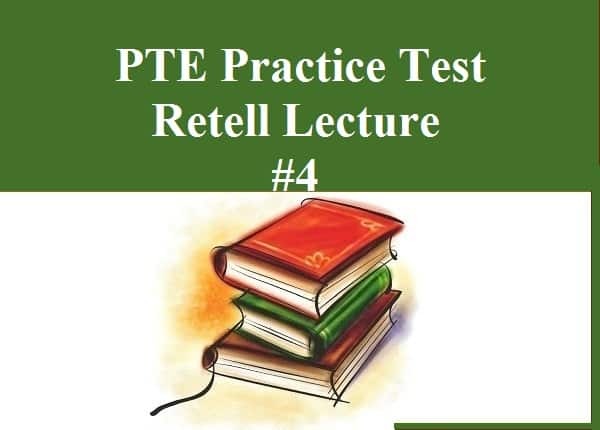 Share your response for retell lecture with our readers through comments. the lecture is about the hand preferences of each individual, whether it is right or left handed. People most believe during the ancient times that right hand has 90% positive quality rather than the left hand, they believe that left handed possesses negativity and sinister, that even country like japan and china has their own beliefs too. In japan, it means rejection or refusal in marriage for a woman with left hand, and in china they encourage left handed people to use right hand in writing. Scientist also denoted that being left or right handed has no scientific basis, therefore in general handedness denotes preferences in each individual. the lecture is about the yellow fever, an epidemic that killed thousands of people during 1800 century in various countries such as europe, africa & americans. Yellow fever came from a mosquito virus which was originated in west africa. There is no cure for yellow fever, but lately they found out that it can be prevented by a vaccination. The symptoms of yellow fever is yellowish of the skin due to liver damage. In the years 1762-1763, there are thousands of soldiers died in cuba. That in fact, in 1900 10% of Cuba’s population declined drastically due to yellow fever epedimic. In this lecture, the speaker is talking about right and left-handedness.She mentioned that 90% of the people are right handed and in many cultures, right is associated with positivity while left denotes the evil.That’s why left-handers made to feel left out, but even scientists do not know the actual reason. Some claims that it is because of person’s preferred writing while other think that it is because of handedness in doing the manual activity.But many say that handedness is just a matter of preference. **the speaker was talking about right and left-handedness. 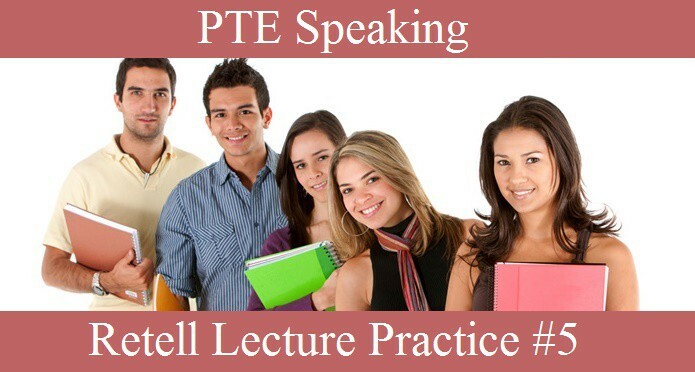 Lecture 2: The lecture is about a deadly disease called as Yellow fever caused by a virus. The disease still kills more than 30 thousand people. While there is no cure for it, vaccines are available to immunize people. Its major symptom is yellow colored skin. The disease is transmitted through mosquitoes. While it originated in West Africa, it spread to West Indies and later Cuba. Cuba had the first major outbreak of Yellow fever. It has a record of killing millions in the history including British troops. The lecture is about the disease called yellow fever which is caused by a virus .there is no cure before this disease but vaccine is provided to immunize humans.it is generally called a yellow fever because it runs the human skin yellow in color and it damages the liver. There is no cure for this disease .It turns the skin yellow in color. 1. The lecture is about the person’s whose are right handed and left handed. 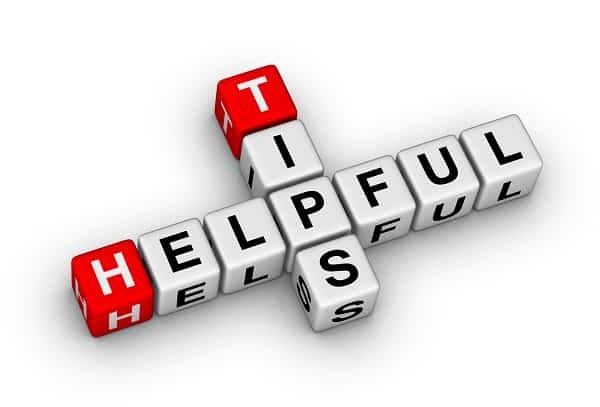 Mostly 90% people are right handed because it is believe that right handed person has positive qualities and left handed has negetive. Thats why, in Japan men rejects to marry women whose are left handed. Also, in China, teachers were forcing their students to learn and write with right hand. This lecture is about ‘Yellow fever’, its causes, symptoms, origin, transmission channel and impact to human beings. 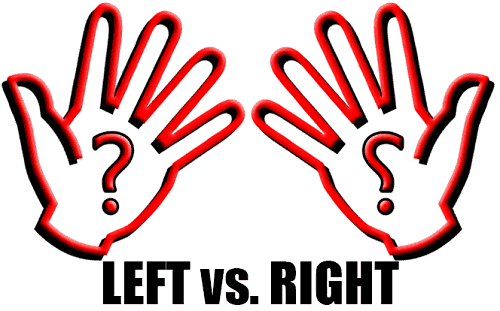 Left or Left handed has been associated with negative or evil ones in history in nearly every culture, while scientifically speaking the basis of left handedness is not well understood. The lecture is about yellow fever, about its causes and how it is spread to humans.Yellow fever is caused by a virus and it has caused a lot of epidemics arround the world.Even though yellow fever does’nt have a cure, there is a vaccine that is used to make humans immune to it.The desease got the name yellow fever because of the symptom called jaundice, the skin turning yellow because of the damaged liver. It can be transmitted by mosquito, man to man called urban cycle and by monkey to man called junkle cycle. Yellow fever originated in west Africa, then west indies and the rest of the World through ships that were carrying slaves. 2. The lecture was related to “Yellow fever”.First she explained about disease causes and history. Yellow fever caused by virus and still there is no cure for this fever but having vaccination to immunize it. Symptom of this fever is jaundice because of liver damage.It is spread by mosquitoes. If its spread from man to man called as urban cycle and monkey to men called as jungle cycle. The origin was in west Africa, and it was carried from there to the West Indies in the eighteenth century. In the year 1900, 10% of people were died in cuba. In fact,still kills more than thirty thousand people a year world and there’s still no cure for the disease. 1. The lecture was related to hand preferences for daily activities.Most of the counties having different opinion about right handed and left handed person but about 90% of people are right handed. There is common believe that right has been associated with positive qualities and left for negative qualities. In conclusion, researches mentioned hand preferences has been chosen based on ability to perform activities.